The Nettle Meadow Kunik is a unique and somewhat decadent cheese made from goat's milk and Jersey Cow's milk cream at Nettle Meadow Goat Farm in Thurman, New York. Nettle Meadow is a small 50 acre farm with about 100 does in the Southern Adirondacks. 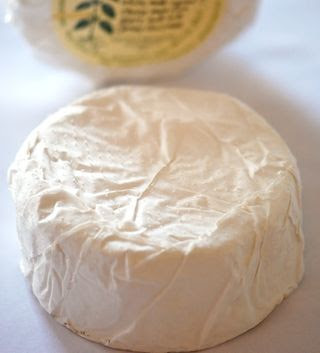 The Kunik is a rich wheel of a bloomy, white rind cheese that is elevated by the addition of the cow cream. The paste is moist; the flavor is tangy and buttery. Try pairing Nettle Meadow Kunik with Champagne or other sparkling wines.